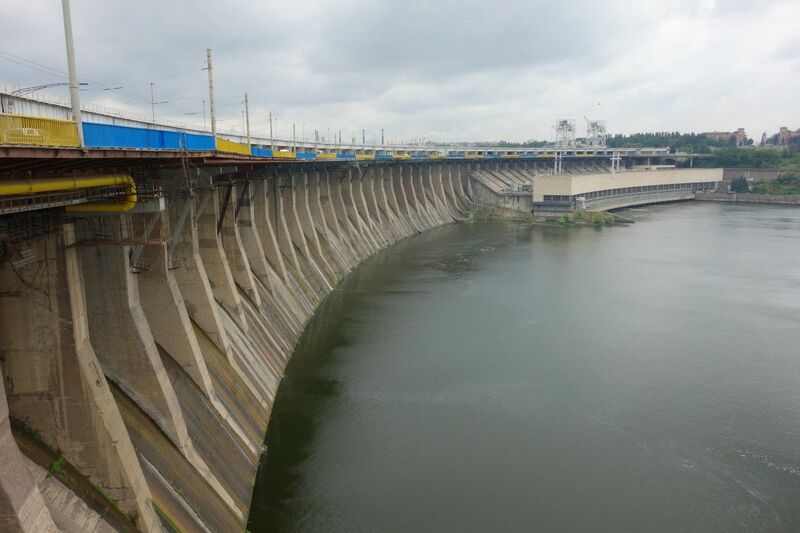 Ukrhydroenergo has not been able to begin the overhaul of a bridge to the Dnipro hydroelectric power plant (HPP, Zaporizhzhya) due to the fact that alternative ways across the Dnipro river have not been developed, the chief executive officer of Ukrhydroenergo Ihor Syrota said at a press conference in Vyshgorod, Interfax-Ukraine reports. “There is a bridge reconstruction project and the second stage of reconstruction allocates borrowed money for this purpose. It is necessary to change crane girders, expand hinged structures and add one or more additional lines. However, for over two years we have not been able to proceed with the overhaul because the other two bridges in Zaporizhzhya have not been constructed. If the bridge to the Dnipro HPP is blocked, there is going to be a collapse,” Syrota said. The official said that the loan agreement, within which the reconstruction of the HPP is being financed, is expected to terminate in 2021. By that time, we need to complete all the works, including the overhaul of the bridge to the Dnipro HPP. According to estimates, the cost of the bridge overhaul project is expected to be in the region of $19-24 million. As of right now, Ukrhydroenergo is forced to spend money on patching road pavement every year, which solves the issues only for short term.